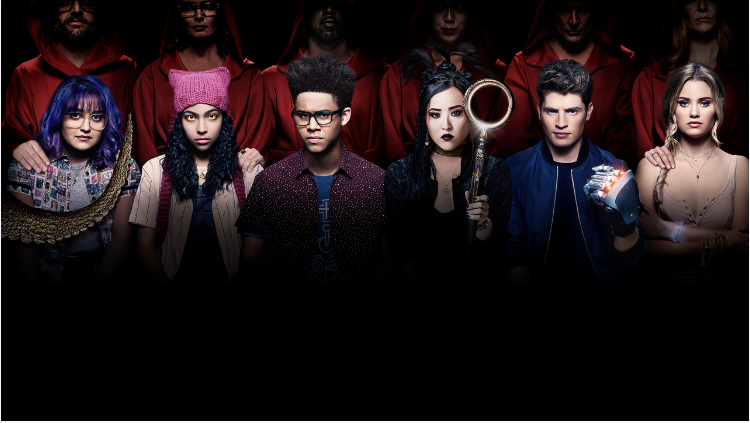 With series coming first and only to Showmax, such as Marvel’s Runaways, plus loads of fab family films and the spellbinding Planet Earth, Season 2 hitting your screens this month, Showmax is the place to be in April. When six teenagers realise their parents are supervillains and hiding dark secrets, they must band together to stop them – before it’s too late. Detective Harry Bosch is back to tackle an explosive case that sees Los Angele on the brink of chaos in this gripping series based on Michael Connelly’s best-selling crime novels. Robin moves to Sydney, hoping to get away from the violence of her previous case. But things take a nasty twist with a grim suitcase washing up on the shore. Louisa is done with being poor. So she starts a market stall, but are the locals ready for it? The colourful Durrells are back for a new season of madness. The Strategic Homeland Intervention Enforcement and Logistics Division or SHIELD go in when the superheroes can’t, stopping Hydra from taking over the world in this action-packed series from Marvel Comics. Revisit the most tragic sea voyage in modern history and follow the stories of the passengers, from the richest to the poorest, in this thrilling mini-series drama. Ellie is just trying to get through a musical career and her own crazy life – and we get to follow her in real time in this inventive new comedy. A fun family comedy about a couple looking forward to a quiet home now that their kids are adults – but their twentysomething kids refuse to leave home. From comic legend Stan Lee, comes a thrilling British supernatural crime series following Detective Harry Clayton, a crime fighter with a special power: he can control luck. Who is the most likely to survive? The tribe with the looks, the tribe with the physical strength or the tribe with the smarts? Find out as these castaways battle it out for the top spot. Olivia is the best in the game: whatever your scandal, she can cover it up. But her own life stays a mess in this thrilling new drama series. When a group of whales are trapped in icy waters, a local journalist takes action to help and save them in this excellent and thrilling story for the whole family. Rising from their hibernation, a gang of woodland creatures find that humans have moved in! Luckily a wily raccoon is there to show them the ropes in this family animation. Steve Martin brings the bumbling Inspector Clouseau to life in this side-splitting comedy about a missing diamond, a murder conspiracy and the world’s most accidentally dangerous man. A valuable treasure trove is stolen and only one man can track it down… Better hope he doesn’t destroy everything before the job is done in this hilarious sequel. A pampered pet rat lands in the sewer, but a scavenger helps him get back to his life of luxury in this animated adventure starring Hugh Jackman and Kate Winslet. Two people meet by chance, but while he’s in love, she’s expecting a different destiny. Then, 10 years later, they meet again. Does this mean they’re meant to be? Doug, Abi and their kids are off on a holiday. They try to keep their divorce a secret, but that’s not going to be easy in this heartwarming family comedy. Something has gone wrong in a facility deep underground and the special forces unit who go in are ready for anything.. except what they find in this action-packed thriller. Comedy genius Mike Myers steps into the world’s favourite Dr Seuss character, so expect chaos to follow in this hysterical family comedy full of amazing special effects. One is a grizzled loner cop. The other is a sniffer dog with a super nose. But can they stand each other, in this classic side-splitting comedy? George Clooney is a top lawyer who always gets his clients off their divorce obligations. But when Catherine Zeta-Jones loses her settlement in court, she’s out for some cruel revenge. Out to avenge his brother’s death at the hand of a cruel champion, Kurt secretly joins the murderer’s cult in this action-packed remake of the original classic. Dave is as placid as they come, but is ordered to see an anger management specialist after an unusual outburst. A hilarious comedy starring Adam Sandler and Jack Nicholson. Step into the adventure of Angelina Jolie’s signature role, Lara Croft, as the video game comes to life to save the world in this action-packed thrill ride! The incredible award-winning documentary is back, again taking us closer to nature than ever before. From a lizard escaping a sea of snakes to dancing bears, it’s a truly awe-inspiring visual feast. The toughest show is back. This time contestants must survive the training of SA’s Recces, Poland’s GROM, the US Green Berets and more! Not everyone makes it through hell week. Homegrown terrorism is a threat in the USA. But how big is it really? Why are people signing up with ISIS? Step into their dark world in this gripping documentary. Step into some of the UK’s most stylish homes and get design inspiration as host Kevin McCloud visits award winners all in line for House of the Year. The blues just want to relax, but that isn’t gonna happen with the hatchlings around. Enjoy the ridiculous adventures of these birds as they try to ruffle each others’ feathers! Tom is a teenager with a secret: he comes from a family of wizards. When aliens try to invade Earth, he teams up with scientific genius Benny to fight back. Sean and Sydney are two regular kids, until they befriend the new kid, Jet Propulsion, who happens to be an alien! Soon they’re flying all over the solar system. She’s got a wild imagination, but even Kate didn’t think she could conjure Mim-Mim, a giant rabbit and her best friend, always ready for a crazy adventure. Kate finds herself in the strangest place: the land of Oz! Luckily she has the imagination to show them a thing or two about being fantastic. In this uplifting South African romantic drama, three friends try to find love, happiness and success in Johannesburg. This local dance movie follows the story of Muzi, the son of a pantsula dancer, searching for the truth behind his father’s death… and finding so much more. Comedian Jason Goliath brings his unique sense of humour and unbridled energy to the stage in this comedy special, filmed at the Lyric Theatre in 2017. He’s famous, he’s fabulous, he’s Somizi Mhlongo! Get an inside look at the highs and lows of his fast-paced and flamboyant celebrity lifestyle. Another season of drama awaits as the saga of the inhabitants of the valley continues. Expect many secrets to come to light – some good and many evil. Discover more about everything from hunting techniques, weapons and ammunition to conservation projects and products for the game industry. He could be the voice of a new generation of SA comedy … or he could be the voice of absurdity. Either way, Joey Rasdien will have you in stitches. Head into the wild and explore some of the most remote and challenging 4×4 routes out there. Plus, get advice on how to get more out of your off-road vehicle. In this South African noir film, a dead body is found during a high-profile engagement party at an exclusive safari lodge. It seems straightforward, but is it? Environmental journalist Ian Michler takes a hard-hitting look into the reality of the highly lucrative farming of lions – bred to be killed. Big names including Casper De Vries, Barry Hilton and Shaleen Surtie-Richards star in this dark comedy about a failed comedian who gets caught up in a bizarre series of kidnappings. Three university friends reunite after 30 years at a 50th birthday party. With failed marriages and stalled careers, all of them are dreading the reunion…but perhaps it’s not all bad.